Hi everyone Dr. Kenny here. 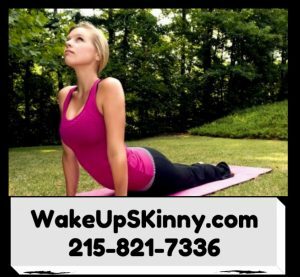 If you are a member of our Philadelphia and Bucks County weight loss programs you already know that we use the highest quality FDA approved appetite suppressant medications, weight loss pills and diet pills. And you also know that we spend an enormous amount of time with our patients reviewing the proper nutrition and meal plans that will help you safely lose weight. If you are not a member of our weight loss center I invite you to call and schedule your free consultation, call us at 215-821-7336. Ask for Lisa and she will be glad to schedule your free weight loss consultation. As part of our medical weight loss program we also will review your target weight loss goal and let you know if your target body weight is healthy for you. I guess because of social media and marketing campaigns that appear on the television, in magazines and on the Internet people are coming to us wanting to lose an amount of weight that would not be medically healthy for them. Not every woman is meant to be a size 0 or size 2 or even a size 4. And please remember that in our program we use real prescription medications that must be prescribed by a licensed medical physician, nurse practitioner or certified physician assistant. You cannot purchase these type of medications at your local Nutrition Store. And because these are prescription medications certain criteria must be met, like BMI, waist measurement, etc. for you to be able to take these weight loss medications. That is why we offer the free consultations, to determine if you are a candidate for our program. When you first come in you will be evaluated by the healthcare provider and then they will their clinical skills and expertise and make the recommendations as to what would be the best weight loss program for you. This includes the appropriate weight loss medications, best nutrition – diet meal plan and what would be the best target weight loss goal for you. And in addition to all of this we give you lots of fantastic recipes to help you lose your weight. We have recipes that we had every week to our website that are usually low-calorie recipes and/or low sugar low carbohydrate recipes. So with all of this being said, finally here are a few of my secret recipes that taste great and will help you get that sleek physique. Begin with setting the oven to 350 degrees. Use 2 large baking sheets (not nonstick), adding butter and flour to them. In a large bowl add in cake mix, cocoa powder, water and melted butter. On low speed beat for 1 minute, or until combined. Then beat at a medium speed for 2 minutes. Add in cereal and beat at low speed until combined. Stir in marshmallow topping lightly, mixture should end up looking marbled. Cover and refrigerate for 15 minutes. Grease up a tablespoon and place dough 2 in apart on baking sheet. In between batches keep remaining dough refrigerated. Bake 13-14 minutes, or until cookies look puffed. Let cool for 1 minute. Use metal spatula to remove cookies off sheet and onto rack to completely cool. Repeat steps with next batch. Enjoy! First heat oven to 350 degrees. As that is preheating coat a 15 ½ x 10 ½ x 1 inch jelly-roll pan with cooking spray. Pour the hot water into a pan or cup and let them dissolve. In a good sized bowl, at medium speed, beat together sugar and butter for 3 minutes. Add in corn syrup, beating until smooth. Next add eggs, coffee mixture, and vanilla. Using a medium-sized bowl, mix flour, cinnamon, salt and baking powder,. Beat flour mixture with sour cream into butter mixture, at low speed. Ending up with flour mixture. Fold in walnuts and chips then spread into pan. Bake for 30 minutes. Keep in pan and let cool. Once cooled spread chocolate frosting on top. Cut into 2 in squares and enjoy! Each square has: 196 calories, 10 g fat, 2 g protein, 26 g carbohydrates, 1 g fiber, 62 mg sodium, 20 mg cholesterol. To see if you are a candidate for our Philadelphia or Bucks County medical weight loss program call us and schedule your free medical weight loss consultation at 215-821-7336. I hope you enjoy these recipes is much as we do and is always if you have any questions about our weight loss program just call us at 215-821-7336 and Lisa will be happy to answer any of your questions. This entry was posted in Diet Doctors in Philadelphia, Medical Weight Loss in Philadelphia PA, Medical Weight Loss Philadelphia, weight loss philadelphia and tagged diet pills Philadelphia, doctors prescribe phentermine Philadelphia, medical weight loss doctors Philadelphia, Medical Weight Loss Philadelphia, phentermine in Philadelphia, philadelphia diet doctors, philadelphia weight loss doctors, vitamin B12 injections Philadelphia, weight loss philadelphia, weight loss pills philadelphia, weight loss programs Philadelphia on November 19, 2016 by Dr. Michael Kenny.